If you’re looking for a digital antenna in order to save money on your cable bill, you’ve probably been shopping for the best digital antennas. One brand you may have seen mentioned is Mohu, which is one of the most popular choices for antennas these days. Their most popular model is the Mohu Leaf 30 TV antenna. Today, we’ll take a closer look at this unit in our Mohu Leaf 30 review. Whatever information you’re looking for on the Mohu Leaf antenna, we’ve got you covered. We’ll talk about the Mohu Leaf 30 cost, the pros and cons of this popular indoor antenna, and how it stacks up against other similar products. Enjoy – and let us know if you have any questions! The Mohu Leaf 30 is one of the most popular indoor TV antennas. It’s very affordable, small, easy to set up, and works well. It’s range is 30 miles, so it’s not really meant for rural areas. It’s best for cities and suburbs, and offers a good option for folks who are unwilling or unable to install an outdoor TV antenna on their roofs. A big selling point of the Mohu is that it installs in minutes. You can attach it to the wall above your TV, to your TV stand, or even to a nearby window for better reception. There’s no hardware needed, nor any tools. The Mohu also blends in well, and you can even paint over it to make it match your wall. Bottom line, if you’re looking for a cheap, easy to use and unobtrusive indoor antenna, the Mohu Leaf 30 is a great choice. Keep reading for our full Mohu Leaf 30 review to learn more! Or, check the Mohu Leaf reviews on Amazon now. At a glance, where does this antenna shine, and where does it fall short? Some Mohu Leaf 30 reviews complained of poor reception – we did not have issues with our test unit, however. Here are the basic specs & features of the Mohu Leaf 30. Overall, the Mohu Leaf is a pretty simple device. As you could expect from its price range, the antenna has a basic but highly functional set of features. Click here to learn more! The Mohu Leaf 30 has a range of 30 miles. Keep in mind that this doesn’t necessarily mean that you’ll pick up every network within 30 miles of you. 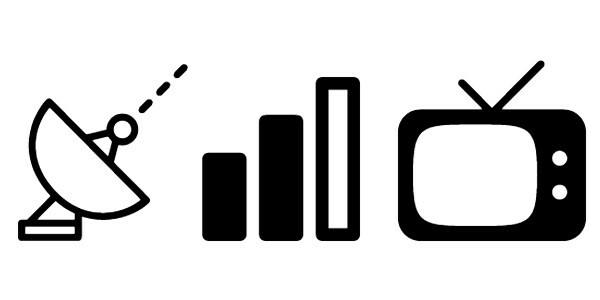 Geographical obstructions can reduce signal strength, as can some building materials used in your home. There are some things you can do to improve antenna reception. The biggest one is placing your antenna in the best possible location. We had the best signal placing the Mohu Leaf in the window, but it really just depends where you live. You’ll likely have to do some experimentation and troubleshooting – but this is true with any antenna, not just the Mohu. As we mentioned, one selling point of this antenna is its easy setup. You can install it in a matter of minutes. Really all you need to do is hang it up near your TV, and plug it in – that’s it! You can either hang it on something, or use thumbtacks (included) to tack it up to the wall. There are two very small holes in the antenna to use for hanging. Once it’s set up, you’ll want to scan for channels (on the “antenna” category of your TV – NOT “cable”). This will show you what channels are being picked up, and what signal quality you’re getting. If you’ve just done the setup, you may want to play around with different positioning in your home to see where you can get the best signal. Installing the Mohu Leaf 30 above/behind your TV is probably the easiest, but you may find that you get better reception if you install the antenna elsewhere. Nearby windows are a good choice, as they give the antenna a less obstructed signal. How much is the Mohu Leaf 30? The retail price is $39.99, making it quite a good value. It’s often available on Amazon for even less than that! This makes it one of the cheapest antenna options. If you’re curious to compare it to other top models, check out our guide to HD antennas and good indoor TV antennas. Mohu has several models available. Another popular one is the Mohu Leaf 50. How do they compare? Basically, these two units are quite similar – but the Leaf 50 has better range. The Mohu Leaf 50 has a signal range of up to 60 miles, about twice the Leaf 30’s range. This is mostly due to its included amplifier. This advanced amplifier has CleanPeak technology, which helps to filter out unwanted signals and boost wanted ones. Overall, the Mohu Leaf 30 will likely be sufficient for most people – but, if you live further away from your local stations, the Leaf 50 definitely has better signal strength. On Amazon, the Mohu Leaf 30 has an average rating of 3.9 out of 5 stars (as 0f the time of this publication). You’ll notice that around 3/4 of people gave the Leaf a 4 or 5-star review, which is quite good. On Best Buy, the Mohu has an average rating of 4.2 out of 5 stars. 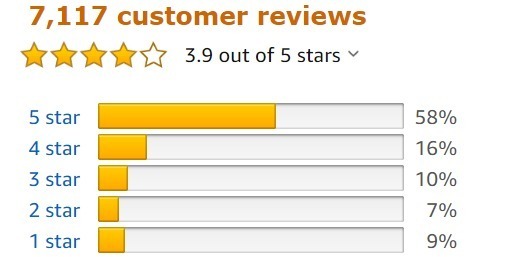 Around 4/5 of people gave it a 4-or-5 star review, which is even better! To sum up this Mohu Leaf 30 review, we’ll say this: The Mohu Leaf 30 is the best budget-friendly, basic indoor antenna on the market. Sure, it doesn’t have as strong of a signal as outdoor antennas, or as broad a feature set as some high-end models. But for the price? You really can’t go wrong with the Leaf 30! Click here to learn more and purchase the Leaf 30 from Amazon! Mohu Leaf 50 Review: Is This Antenna Worth It?